Summer is just around the corner! 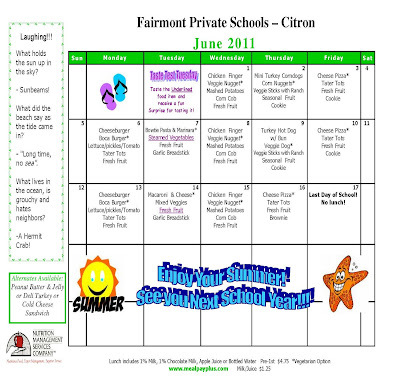 But Nutrition Management has lots of yummy meals planned before schools's out. 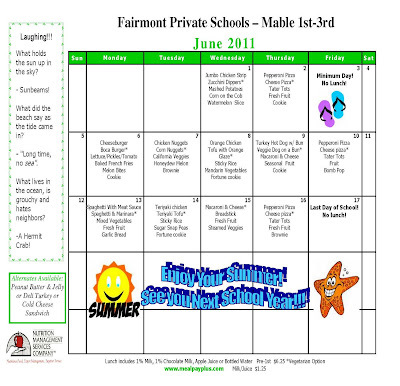 Check out our June Preschool-1st Grade Menu and our June 2nd-8th Grade Menu to plan ahead. Last week fifth graders earned their sea legs after completing another great trip to Catalina Island. Wednesday morning began with a heavy rain but dried as we arrived at the dock. We were just in time! The boat was leaving early due to heavy winds that were forecast for the afternoon. That made many of the students nervous, but Fairmont students, parents, and teachers are a hardy bunch. It was rough, but by the time we arrived the sun was out. After learning about the local fish and having a hilarious lesson on "How to put on a wetsuit," everyone headed out to snorkel. This was a new experience for many. That evening we braved the cold and wind to hear about the stars and constellations. The next morning dawned warm and sunny. We were off to the fish lab, the shark tank, the invertebrate lab (where we held several animals) and algae lab. There were games and activities for each of these. The wind picked up in the afternoon so unfortunately, there was no kayaking for two of the groups. Instead, they hiked to "Bible Peak" and had a lesson in archery. Lots of bull's-eyes! The other two groups visited the plankton lab and viewed creatures in a drop of water through electron microscopes. The most interesting was a squid dissection. Everyone was grossed out at first, but the instructors were funny and that helped. Friday morning brought more sunshine and no wind. Two groups were able to kayak. This was another new experience for most of the students. Muscles were used that had never been used before! Great food, warm cabins, fabulous and funny instructors, a new grass field, wonderful parents, and smiling teachers all left us rather sad to leave the island. The anticipation of another rough boat ride made some of us anxious, but it turned out to be a smooth sail. Thank you to our chaperones Mrs. LaScola, Ms. Guzman, Dr. Chawla, Mr. Zoreikat, Mr. Dam, and Mr. Pinsky. We couldn't have made this trip without you! On May 17, 2011, the Mable Junior High held its National Junior Honor Society (NJHS) Induction Ceremony. This year, 61 members were inducted into Mable's NJHS. This was a remarkable feat in regards to students having to meet the stringent requirements set by NJHS. National Junior Honor Society is a nationally recognized organization that is dedicated to provide a strong foundation for building leadership skills through service to the school and the surrounding community. This program also honors students who have maintained an exceptional academic record along with exemplary citizenship and concern for improving society. Eligible students included third trimester sixth grade students, seventh grade, and eighth grade students that maintained at least a 3.2 GPA. The 2011 Inductees will be asked to participate in a chapter-sponsored service project as well as an individual service project that reflects his or her personal talents and interests each year. Congratulations to Eric Song, winner of the True Grits $50.00 gift certificate drawing. 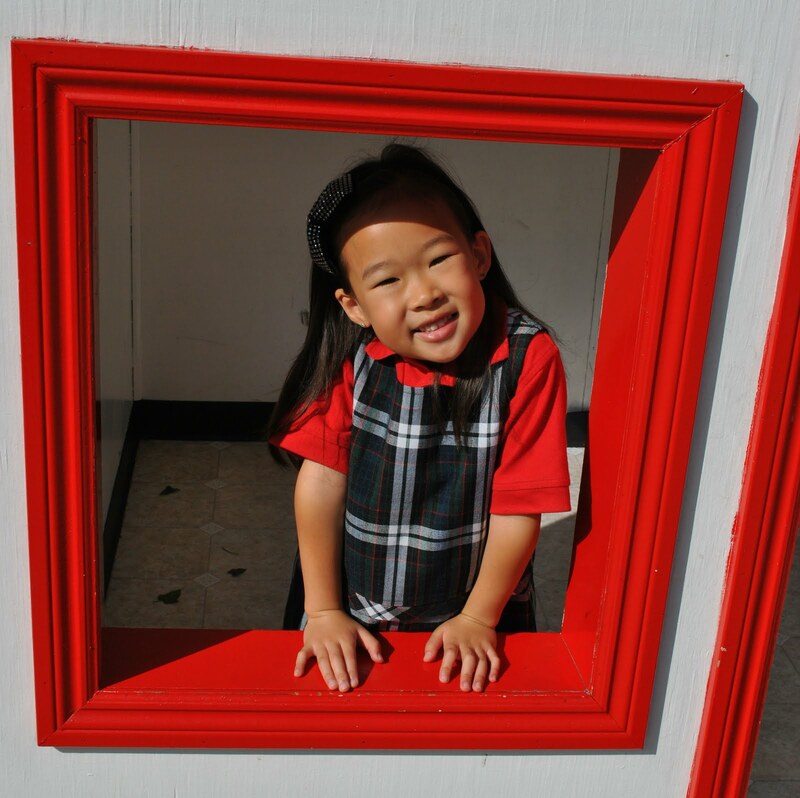 The Parent Association's used uniform program wishes to thank all who donated gently used uniforms during the year. On Wednesday, June 8th, at 6:00 pm, the Mable Campus will host a forum to talk about junior high readiness. The transition into junior high is both exciting and challenging for students and parents alike. This forum is designed to give you a better understanding of what to expect as your child enters the junior high years, including physical changes, social and emotional adjustments, and academic expectations. Join us for refreshments to kick off the presentation. 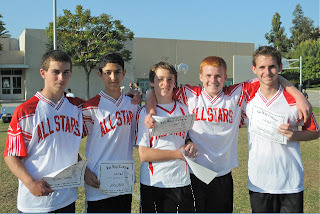 All 8th graders are welcomed to try out. Miss Nielsen (aka Anika) did a wonderful job as Mrs. Lottes' replacement on Wednesday, May 18th as she assumed her title "Teacher for the Day." Miss Nielsen was on time and was professionally dressed as she got her papers ready for the beginning of class. She not only taught a lesson to a group of students on long division, but she also graded papers, and read to the class from our on-going novel (something only the teacher does). Anika took this title very seriously; even rewarding and disciplining the class for their behavior. Mrs. Lottes was very impressed and knows that what every job Anika does in the future she will excel. On Monday, May 16th, the Kindergarten classes went on a field trip to the Ocean Institute at Dana Point Harbor. The children were able to touch sea cucumbers, sea stars, hermit crabs, etc.... The children had a wonderful time and had a "hands on" adventure. After the Ocean Institute lab and classes, the children ate lunch at the Tustin Sports Park. 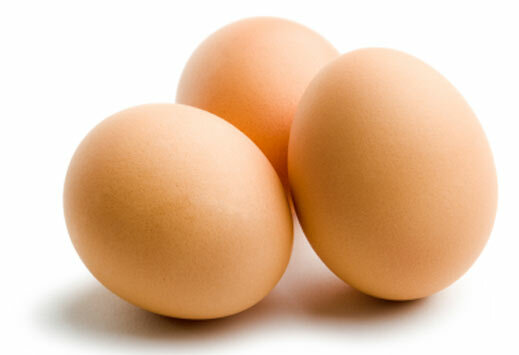 Mrs. Reynolds will be hosting a "Brunch and Learn" for potential new families. If you have friends, family or colleagues who might be interested in this event, please consider sharing this invite with them. You are also welcome to attend along with them. 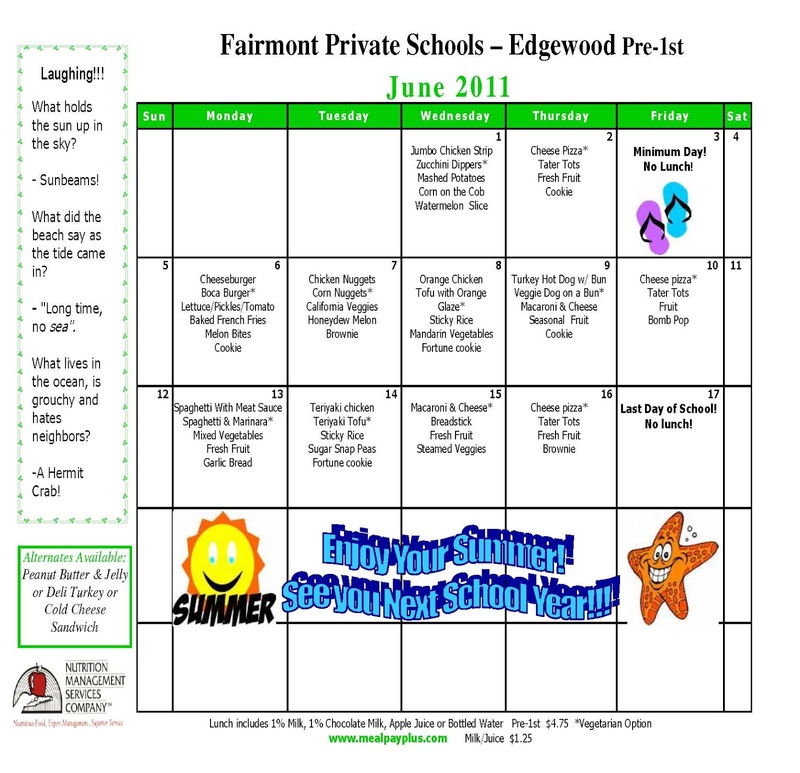 The purpose of this time is to introduce potential new parents to Fairmont as well as learn how Fairmont makes the difference at every grade level. During our time together, we will tour the campus, meet with some faculty members and administrators, and have a Q & A time together. Monday night, May 23, first grade and third grade students attended an art exhibit/awards reception at the Orange County Department of Education. Twenty-four pieces of art were on display and fourteen students, with parents and grandparents, attend the event. The reception feature the art work of several Orange County schools, nice cookies and lemonade (big hits with the children) and a ceremony wherein the students were presented with art certificates individually. Even though, as Maddie Gregor stated, "This is so nerve-wracking," everyone had a wonderful time being recognized as the artists they are. We are also looking for parent volunteers to assist the Ways and Means Office to chair some of these same events. We Need You! If you are interested in working with the ECPA board, please contact Lina Ruiz at fresitalina@hotmail.com. STUDENT SPOTLIGHT edgewood features natalie k. and ryan g.
We invite you to bring your children along for a fun filled sample camp day while you enjoy a coffee break, run some errands, or just take time to relax. 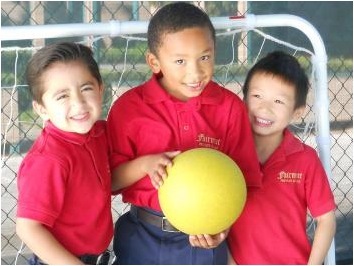 The Summer Camp Preview is for children entering Preschool, Jr. Kindergarten, or Kindergarten. 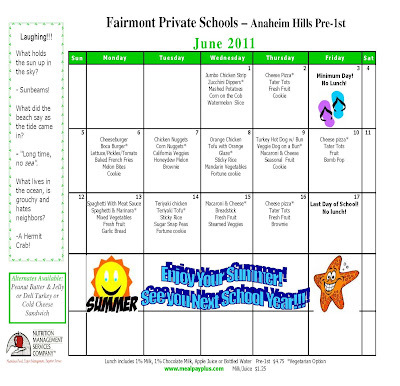 There is limited space so please RSVP with Mrs. Elly Santamaria at 714-533-3930 by June 1st. All attendees will be entered in a drawing to win a FREE week of Fairmont Summer Camp! I would like to congratulate all the Junior Kindergarten and Kindergarten students who made the 25 Mile Club. It took a lot of effort and perseverance to run the 500 laps required to earn a medal. Students must run 20 laps to equal 1 mile. I would also like to thank the parents for encouraging their children to run during the PE period. If your child made the 25 Mile Club there will be a notice in their folders May 27th inviting you to the medal ceremony. We hope you can join us on Friday, June 3rd at 8:30am during the flag salute to celebrate this remarkable achievement. Thank you for making this a great year in PE! It was the most beautiful, warm day of the week and everyone ran for "READING!" There were medals, snow cones and hundreds of 'lap-counter bracelets' in the 2011 Fun Run! 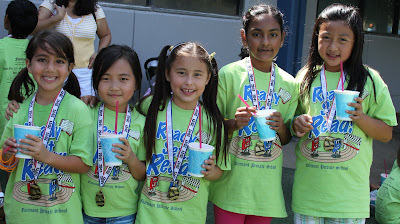 Anaheim Hill's 4th grade students and parents just recently returned from their very first overnight school field trip. This was an exciting field trip, which helped to reinforce our Social Studies curriculum. 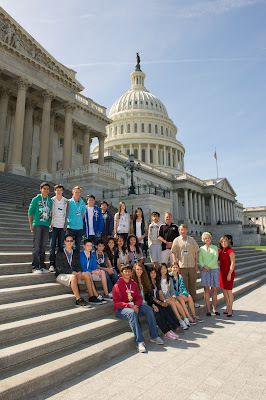 Sacramento, as well as the city of Coloma, provided our students will many learning opportunities. While in Sacramento we visited the Capitol Building, and we even met with a former Fairmont student who works4th Grade to Sacramento for Senator Huff. In the historical city of Coloma, our students and parents had an opportunity to pan for gold along the American River. This allowed them to experience how difficult and tiresome this task was for the 49ers. We also had free time to explore Old Sacramento with its OId West appearance: cobblestone streets and wooden sidewalks. Our last activity in Sacramento included a visit to the Railroad Museum which helped our students to better understand Theodore Judah and the Big Four's involvement in the building of the Transcontinental Railroad. The second day of the trip was spent in scenic San Francisco.Our day began with a walk across the Golden Gate Bridge and a bus tour of Chinatown. Afterwards, we explored the California Academy of Sciences Museum which includes a three-level rainforest, an aquarium, and many other interesting exhibits. We concluded our day with a visit to Alcatraz Island and its infamous prison. As you can see, this field trip provided our 4th grade students with a unique opportunity to explore some of California's historical landmarks. 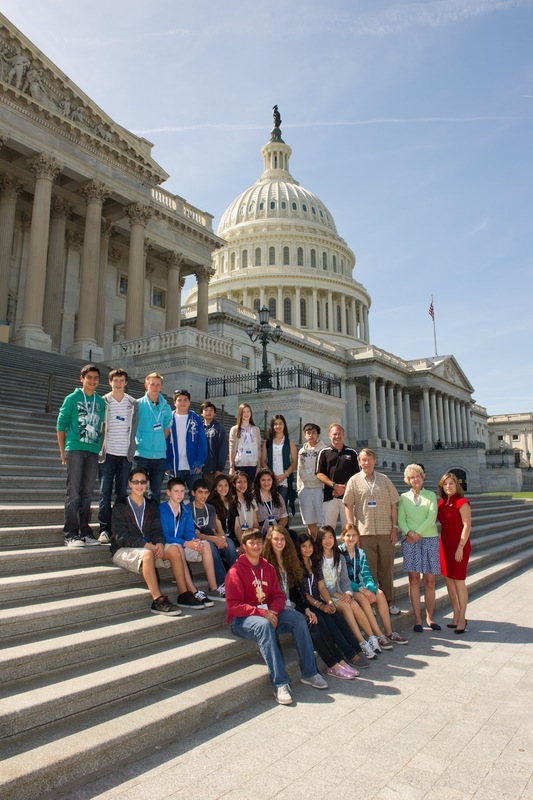 For 8 long months, we had anticipated the 8th grade trip to Washington D.C. and New York City. Finally, May 8th arrived! We met at LAX to begin what would be a fantastic week of sightseeing, bonding and just plain fun. Every day was action packed as we toured the Capitol and actually got to see the House of Representatives in action, the Smithsonians, the Newseum, Ford's Theater, Arlington National Cemetery, the Holocaust Museum, the National Cathedral, and Mount Vernon. While waiting to enter the Newseum, we actually saw President Obama and his motorcade pass by! Evenings were for strolling around the various monuments and memorials such as the Lincoln Memorial, the Korean Memorial, the Vietnam Memorial, the World War II memorial, the Washington Monument, and the Jefferson Memorial. One evening was special, as we visited the Kennedy Center Performance of "Shear Madness." It was hilariously funny and had everyone in stitches. On Thursday, we headed out for New York City. We went up to the top of the Empire State Building and took a boat ride around the Statue of Liberty and Ellis Island. After a little time in Time Square and dinner, we headed back for D.C.
By the time we arrived back to LAX on Friday night, everyone was exhausted and happy about being home. The following students won the highest honors in this year's WordMasters Challenge-a national language arts competition entered by ~220,000 students annually! Austin earned a perfect score in the very difficult GOLD division. In the entire country only 124 sixth graders achieved this level! 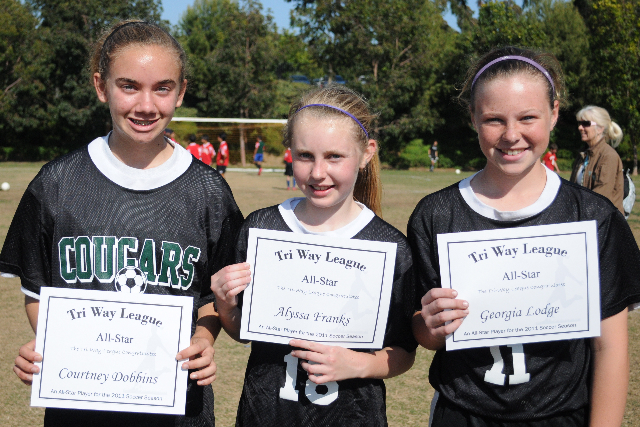 Congratulations to our Tri-Way Soccer All-Stars! 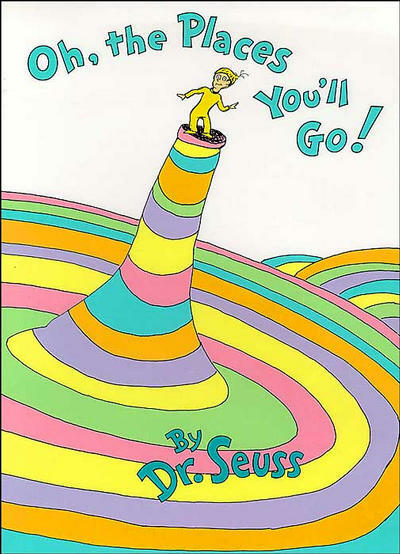 Dylan S. Sina A., Andy N., Gordon L., and Kyle G.
Courtney D., Alyssa F. and Georgia L.
Our wonderful librarian, Mrs. Harmon, will be having orthopedic surgery on Tuesday, May 24 and will return in the fall. In the interim, Miss Jackman, Mrs. Hall and Ms. Tria will be helping in the library. There will be no library instruction from Monday, May 23 until Friday, June 17, Sandeehowever the library will remain open before school, at snack and after school to check out books and to take Accelerated Reading tests. All library books will be due back in the library on Friday, June 3 for year-end inventory. Students can continue to test using books from their home, their classrooms, or from the public library. Please keep Mrs. Harmon in your thoughts and prayers during her surgery and recovery! How many kids can say they've played at Carnegie Hall? Not many. However, Fairmont’s Anaheim Hills campus is home to one such talented student. 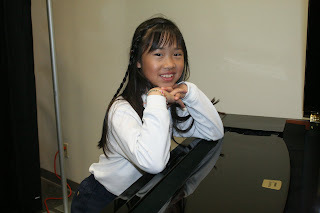 Fourth grader, Allison To, is an accomplished pianist and skilled violinist. Allison has won multiple awards in numerous competitions such as: SYMF (Southwestern Youth Music Festival), MTAC (Music Teachers' Association of California), and the Long Beach Mozart Festival. She was awarded a Gold Medal at the 2010 International Young Musician's Competition. In the same year, Allison gave her debut performance at Carnegie Hall in New York. She currently studies piano under the direction of Ariel Yang at Opus119, the school of music's prestigious Conservatory Program. She shares her musical talents with others by performing in local senior centers and giving concerts to fund-raise for World Vision. Her favorite subject is math and she also enjoys shopping, drawing, and playing with her best friend Suma, her Maltese dog. Allison remembers a time her mom took her to a concert given by a Korean doctor. He is not only a famous surgeon, but a musician and believes that music is very therapeutic. This has inspired Allison to pursue a career as a doctor and use both her academic skills and her musical talents to make a difference in the lives of others. Natalie, is currently in Miss Kliss' Junior Kindergarten and is 5 years-old. Some of Natalie's favorite things are: the color pink, eating rice, the song “More Than a Song”, and the movie, “Lemonade Mouth”. Speaking of songs, Natalie also takes voice lessons and loves to sing and dance whenever Room 102 has a dance party. She also takes swim lessons with another classmate, Daniel Shim. We enjoy Natalie and her amazing personality! Ryan Gumlia, an Edgewood first grader, takes his passion for ice hockey beyond the local rinks. He recently returned with a bronze medal from the Alberta Championship Cup in Canada, a large youth hockey tournament covering most of western Canada. He scored three goals in five games. More than 250 Canadian teams participated in the tournament. Ryan’s team, the Cougars Selects, is headquartered out of Edmonton with branch teams in the United States. Since returning from Alberta, Ryan has been invited to return to play in a tournament in Calgary at the end of the month. 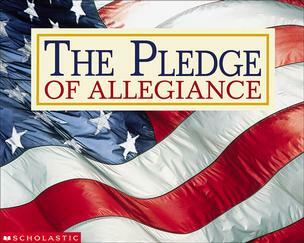 The Pledge of Allegiance pairs pictures of America with the words of the Pledge of Allegiance to help children better understand what the pledge means. The text of The Pledge of Allegiance is illustrated with stunning photographs of American landscapes, monuments, and flags. In addition to the inspiring pictures, at end of the book, the authors include historical facts about America that serve as a mini history lesson for students. This is a great book to share with your children on all of the special holidays when we celebrate America. The Year of the Hangman, by Gary Blackwood is a wonderful piece of historical fiction. In fifth grade, we study American history and the Revolutionary War. This book is a fictional story about what might have been had we lost the war. The story gives insight into what life was like during this time period and also provides an imaginative look at what life could have been like. This book is a page turner and very hard to put down!